Each person has to move at some point in his life. That can be either to distant places or to another place of residence, near the previous address. Both in the first and in the second case, packing, transportation of things seems painful. And among the rooms that are difficult to pack is definitely the basement. We will give you some tips how to save your time and nerves when packing your basement. How to prepare your basement for the move? Beginning early will give you the opportunity to decide which items should you move. Your basement probably contains a lot of sentimental things, such as the first toy of your children, the handicrafts your loved ones have made for you, old photo albums, and a lot of useless items. Remember that moving house is a long business, and you can win a lot if you start preparing in advance. Sort your basement and be objective when it comes to deciding which items to store and which ones to discard. Carefully assess your needs and your new residence. Regardless of how much you want to move all the items from your basement, you will need to reconsider if all this mess cannot fit into your new home. In addition, packing your new place with old and useless items is extremely unreasonable. So you need to make an effective floor plan to make the most of your new place. Most likely, you will be surprised that you will find some items that have long been stored. In addition, there may be some hazardous materials that your NJ movers won’t put in their truck. That could be engine oils, paint, cleaners, chemicals, flammable objects. So be sure to dispose of them eco-friendly. How to get rid of things when packing your basement? Provided that you start packing your basement early, you can organize the garage sales. That way, you can earn extra money, which, of course, cover part of the moving costs. On the other hand, what you consider useless, other people can find valuable. Your donation can make some people happy, so do not hesitate to contact local charities and offer them your help. Needless to say, items that still have practical or sentimental value are worth the effort. And you should move them to a new location if there is enough space. Ask your friends and family to help you pack your basement. Hiring NJ packing professionals is always an option, especially if you are trying to move as peacefully as possible. How to go about packing your basement? This can be one of the largest and most labor-intensive areas for packaging. Since it depends on you, try not to leave it to the end, because it can take a long time! Starting your packing with the basement is the base of every good moving plan. When packing your house, try to start in the basement, so when you are done, you can start to see the light at the end of the tunnel. If you lived somewhere for a long time, it’s possible that your basement has become quite full. You may have things you did not even know about. Spend time on everything. 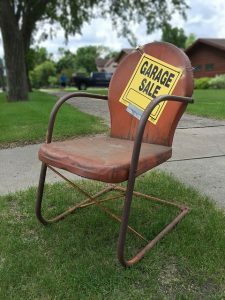 If you have things that you want to sell, Letgo can be a great place to get rid of things and earn some money while doing it. If you want to donate things, check out the charity shops. If you have many things, you may have spent some time before to put things into plastic bags. Go through the boxes to make sure that the things are packed properly, and see if you want to even send things that are still in the box. If so, put the tape on the box and everything will be done. Yes, it’s that easy! You may notice that there are boxes that can contain many things. This may seem like an excellent idea until you try to move the box. NJ commercial moving specialists always advise that you do your best to limit your boxes to 50 pounds. We do not expect you to weigh boxes. But try to think ahead of the weight of the box, not what can fit inside. 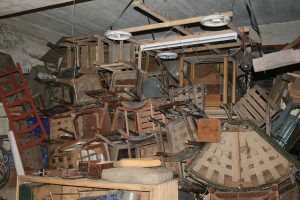 Given the wide variety of things that have made their way to the basement, try to keep similar items together. When you are building your house, try to keep your tools together, as well as stereo equipment, etc. This is important for two reasons. Things can move in cardboard boxes when they are transported to their destination. The last thing you want is to get a screwdriver to make a nice scratch or puncture a hole in your figures or Christmas decorations. The second reason is that this will simplify your unpacking because you will know where it is going. If you are one of those people with a treadmill or weights, take time to prepare your equipment for movement. Not every running track climbs the stairs in one piece. Make sure that you have the time to disassemble any equipment in order to facilitate its movement. Take the plastic bag for all the equipment and make sure it gets into the cardboard boxes. Also, make sure you stick to the 50-pounds rule. 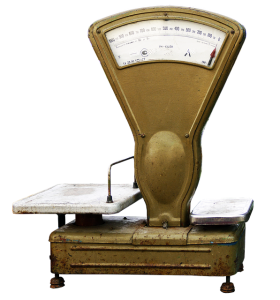 Different weight dimensions can be packed, but make sure that you do not put too many plates 5-10 pounds per box. It becomes heavy! A basement is often a great place for a workshop. It’s warm, so you can work all year round. If so, then you have a lot of equipment and screws. Make sure that you protect your equipment by wrapping it in paper and then pressing it. The last thing you want is to open the box with the screws that just roll. It will take you ages to sort it! When packing your basement, take extra time to collect your little things. Finally, make sure that you have left enough time for yourself to pack. The last thing you want to do is wait until two weeks before your moving starts. Packing your basement is one of the most difficult things because it has such a wide range of stuff. But, hopefully, our tips will help you make that process easier.